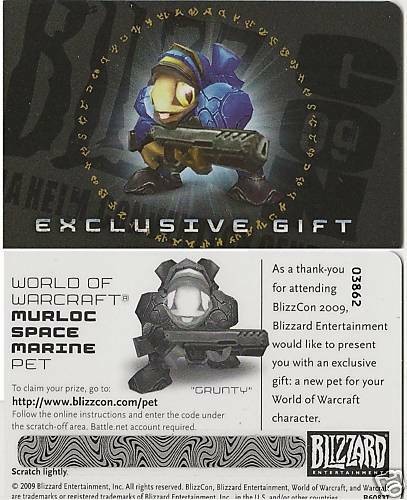 Murloc-Grunty: Terran pet in costume from the game Starcraft 2 (murloc marine) is a new code in the game World of Warcraft was released to the conference BlizzCon August 21, 2009, in limited quantities, which increases its value. 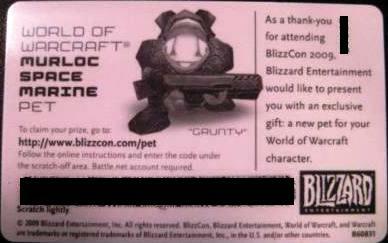 Pet of the very beautiful and interesting. At a meeting Urchin and Zerklinga (pet with classics kollektsionki) between tied battle! 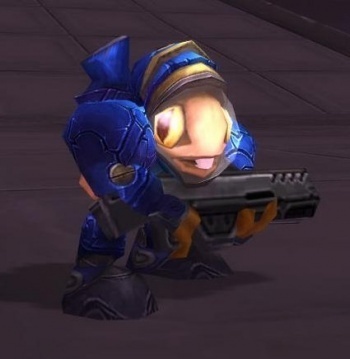 Enter the code in the recording control section Battle.net account, and each of your World of Warcraft character will accompany Murloc-infantryman urchin!